Over the three days the fair lasted, it receive a considerable volume of visits, both due to the number of the meetings held and due to the quality and profile of the visitors. The products displayed, bits and thread taps, mainly, as well as the comparative operating tests on the bits attracted the interest of visitors, who were able to verify the excellent performance of the products offered by TIVOLY. 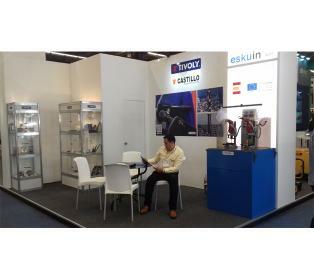 The participation has undoubtedly been very successful, resulting in an important volume of new customers and in the magnificent acceptance of its products on the highly competitive Mexican market. This highly positive balance consolidates the Tivoly development strategy in the Mexican market.